Index for Images from the Expo 2008 at Zaragoza, Spain. 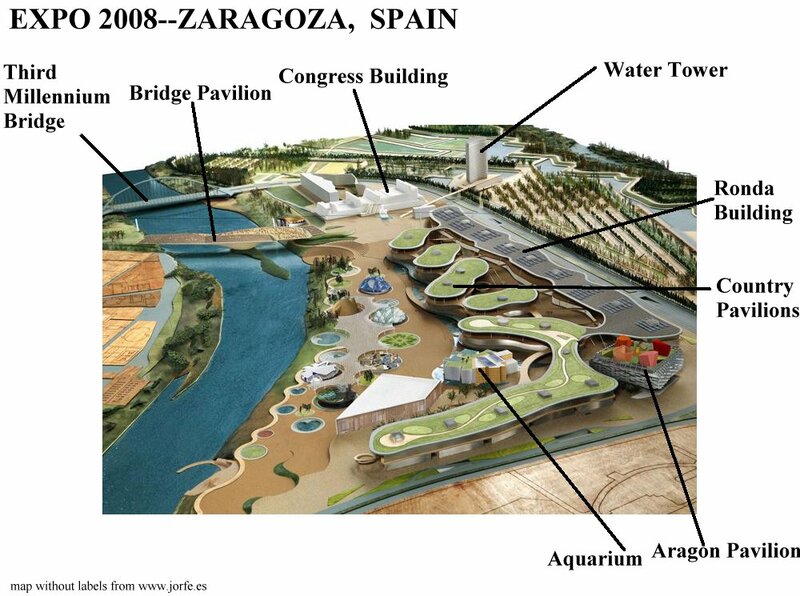 Expo 2008 in Zaragoza focussed on the theme of water and sustainable development. 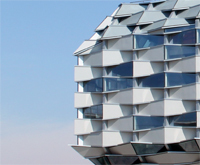 According to Wikipedia, Zaragoza, the administrative and financial capital of the autonomous community of Aragon and Spain's fifth most populous city, was chosen for this international exposition over Thessaloniki (Greece) and Trieste (Italy). Expo 2008 opened on June 4 in that year and closed on September 14 after more than five and a half million people had attended and more than 104 countries had participated. The space, situated along the Ebro River, was the site of a number of new buildings, both pavilions for participating countries (see in banner above and page below), later converted to office space, as well as number of massive buildings, with photographs below. Like earlier World Fairs with iconic architecture--the Crystal Palace (1851) or the Eiffel Tower (1889), at least one of the buildings promises such status, Zaha Hadid's entrance bridge and pavilion over the Ebro. Today the exhibition space and other levels in her pavilion are closed so that it serves primarily as a covered bridge to the former Expo area. 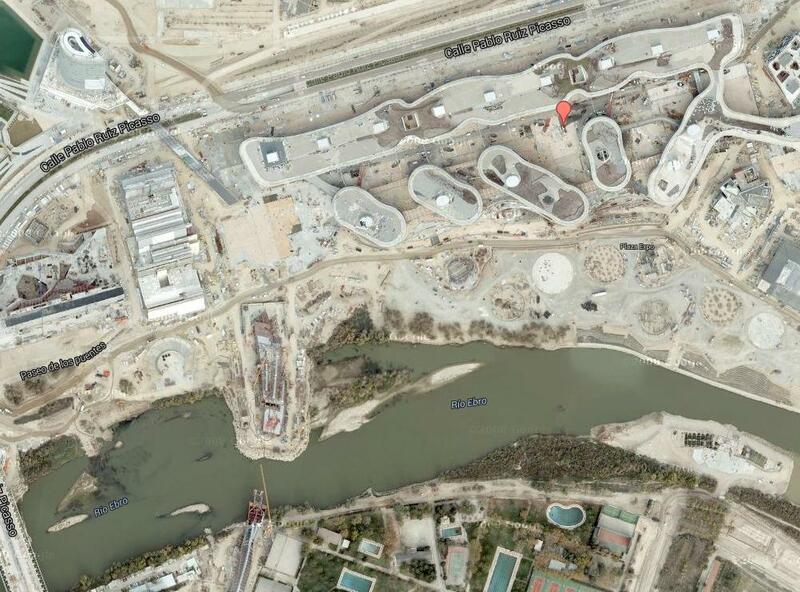 This google map also shows the site during construction. These photographs were taken several years after the event so some of the buildings have been razed and the site is semi-deserted.